At DHE Materials Handling Equipment, we strive to deliver our amazing range of products across Victoria. This is why we make sure that our range is extensive so that everyone can benefit from our forklift attachments. With the full array of jib attachments that we stock, you will be able to find the perfect one for your job. We also stock forklift slippers, a range of forklift bins, carpet poles, drum lifters and other lifting equipment. It is important in many industries that the handling of drums is done with safety in mind from beginning to end. That is why at DHE Materials Handling Equipment, we deliver safe and reliable lifters, trolleys and other gear to companies throughout Victoria. 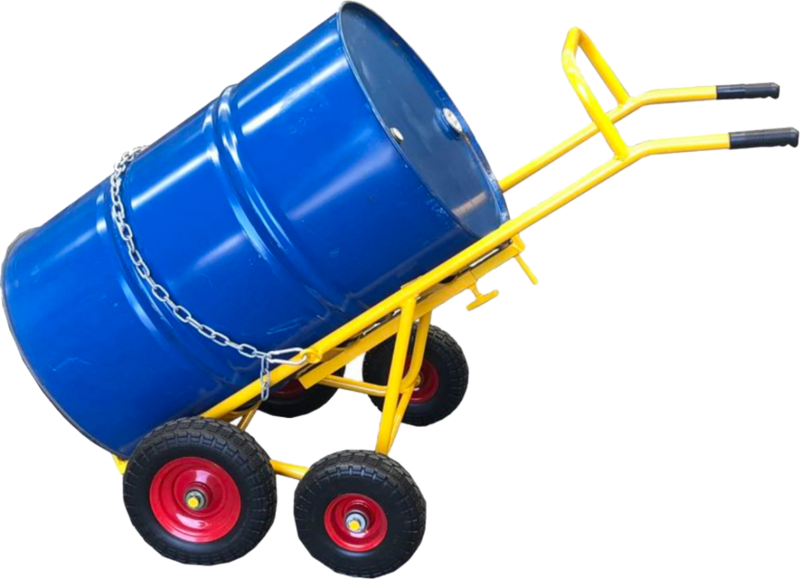 Regardless of what the contents of the drum is, hazardous material or otherwise, we have the materials that will ensure no one gets harmed in the process. We service companies within Melbourne, mainly in the chemical, manufacturing and mining sectors. We are the company to turn to for your drum handling and trolley needs at affordable price points. No matter if you are looking for load bearing trolleys, drums of numerous volumes or lifters that can handle any weight, we have the products for you in our online range.